Eggs are a great real food to have in your diet. They are simple, inexpensive and very nutritious. The best eggs are those that are local and pasture - raised. Buying eggs is no easy task anymore. There are so many different types of eggs. And looking at most cartons in the market, they all seem to come from a farm with a red barn and they are roaming free in a field. Unfortunately, this is not true. All the marketing and hype on the packages to make you believe their eggs are healthiest is not the case. So what do all those type of eggs mean? Pasteurized eggs - eggs that are treated to reduce food-borne illness. They use ozone and reactive oxygen species under pressure to achieve this. Organic eggs - chickens are fed an organic diet. They also must not be in cages and have "access" to the outdoors. Whether or not the chickens actually go outside in another story. But at least there are no GMOs. 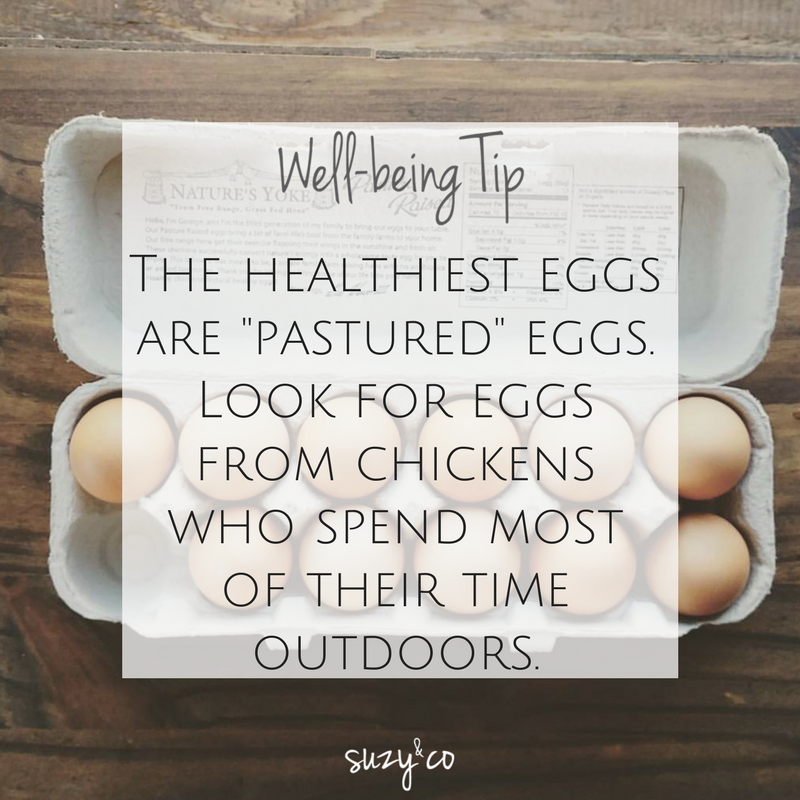 Free-range eggs -chickens are required to spend some time outdoors. How much time? There is no regulation on that. So it could be a minute a day. Other farms may let them roam half a day. Reading the carton won't tell you, but asking the farm directly might. Cage-free eggs - the chickens are not kept in cages. They might be in a large barn all together. They are not required to have time outside. Pastured eggs are from chickens that have been raised traditionally. These chickens roam free on pastures. They are outside most of the time (depending on weather.) Their diet consists of seeds and bugs and worms. Because they are spending a lot of time outdoors and eating seeds and bugs, the nutrient content of their eggs are much higher. Pastured eggs are considerably more nutritious then conventional eggs. Raising chickens on pasture is more humane and sustainable as well. 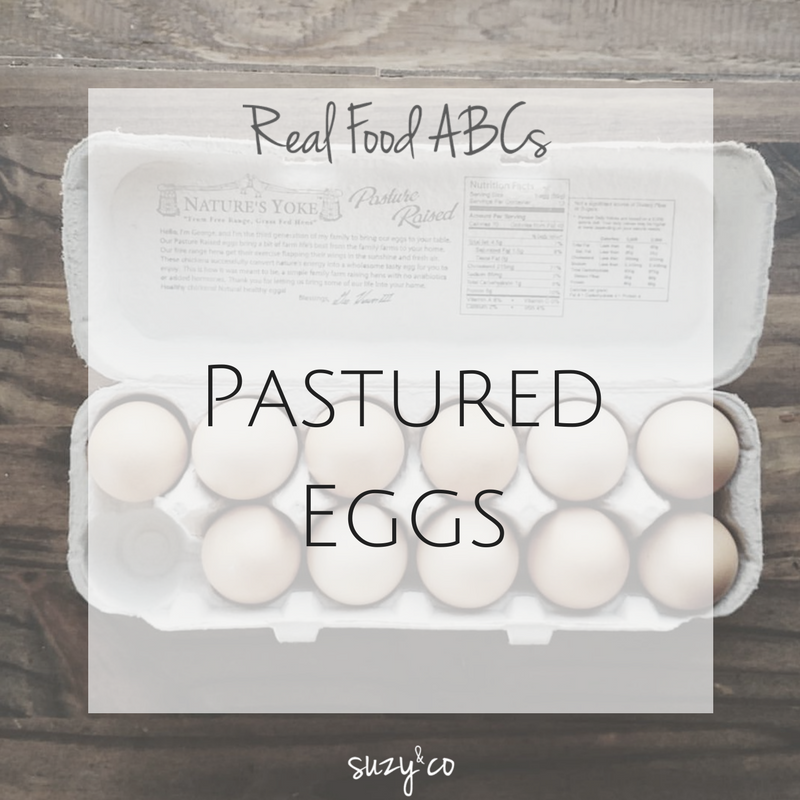 Where to find Pastured Eggs? Unfortunately, pastured eggs are not always going to be on your grocer's shelves. So it may take a little bit more effort to buy them. Two places to start looking for pastured eggs in your area would be localharvest.com and eatwild.com. Both websites provide information about farms in your area. Buying pastured eggs is not only healthier but it will also help small, local farmers. It is a great way to get to know the people who are producting the food you eat. It is an easy step to take on your path to eating more real food.